Totally satisfactory when used with the Fiamma tripod. We needed a Fiamma above floor base to screw to the underside of a 'coffee table' to hold the top of the single leg. It makes a firm support which is not easily dislodged by accident. Fiamma products rarely disappoint and this is no exception. 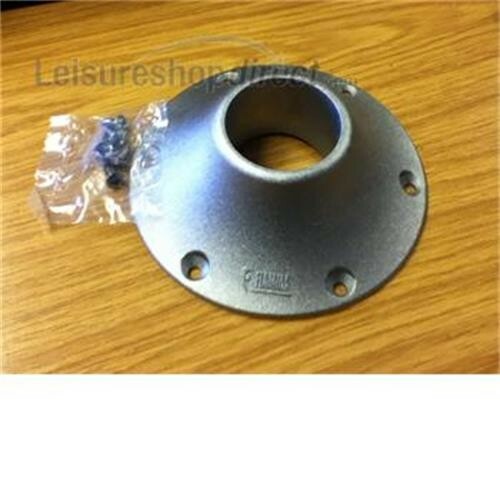 I purchased a couple of these to go with the Fiamma table leg and as you'd expect, they fit together perfectly, making a really strong and solid support for my campervan table. And they look great - I just want to keep polishing them!